What’s Up with Vitamin D? Pandya Medical Center Blog What’s Up with Vitamin D? Vitamin D is an essential nutrient that plays an important part in our bodies for balance and metabolism of calcium and bone health. The main source of Vitamin D is from sunlight as sunlight is needed to help convert pro-Vitamin D which is in our skin to the active Vitamin D (called cholecalciferol) which the body can use. 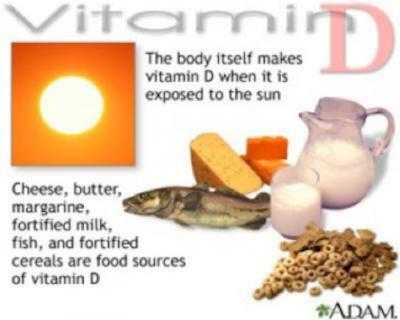 Other sources of Vitamin D are through diet such as fortified milk (which means that we as a society have added Vitamin D in the milk we purchase, it is not naturally present in animal milk), fatty fish, cod liver oil, and eggs to name a few. Vitamin D deficiency is increasingly being diagnosed for multiple reasons. One of the big ones is because we, frankly, are checking for it! Another big reason is because we have become more of an “indoor society” which limits our sun exposure: we are either indoors at home, inside a building for work, or in our cars trying to get to one of those two places! When we are outside, we use sunscreen which blocks the absorption of the rays needed to do the Vitamin D conversion. Sunscreen is important! So don’t stop using it, especially if recommended by your doctor! People with pigmented skin (African Americans, South Asians, Africans etc) have higher incidence of Vitamin D deficiency than their lighter skin counterparts due to the melanin content in their skin. Melanin is the substance in our skin that gives us our color–more melanin a person has the darker their skin color. Melanin also helps prevent skin cancer because it blocks sun rays absorption, but as you can imagine, this is the same reason why darker pigmented people would have higher risk of low Vitamin D.
During winter people tend to have lower Vitamin D levels because there is less sun around due to shorter days thus less sun exposure. Elderly are more prone to Vitamin D deficiency because they tend to stay indoors more. Residents of certain cold countries such as the Netherlands, Greenland etc are low in Vitamin D due to less sun in those regions. People who avoid dairy due to medical or personal preferance reasons tend to be low in Vitamin D as well due to lack of dietary intake. Aside from bone health, Vitamin D helps your immune system. It has been shown to help prevent certain cancers including Melanoma, Prostate Cancer, and Colon Cancer. It helps with autoimmune conditions. Multiple studies have shown Vitamin D to help prevent falls; especially in the elderly population (one of the best ways to prevent bone fractures is to prevent falling!). Vitamin D has also been shown to help with decreasing depression. Certain neurological conditions such as Multiple Sclerosis have shown to benefit from Vitamin D supplementation as well. Low levels of Vitamin D have been associated with development of Dementia or decline in memory. Normal levels of Vitamin D are greater than 30. I typically like most of my patients to be around the 40 to 50 range. I recommend my patients with history of Melanoma keep their Vitamin D above 50. If your Vitamin D is low, your doctor will likely give you the prescription dose of Vitamin D of 50,000 I.U. to take once a week for a typical course of 12 weeks to help restore your levels. It is recommended you go back in at the end of the treatment and get your levels rechecked to see if the levels got better. Many times I have cases where patients tell me “my Vitamin D always comes as low” or “I had my Vitamin D level checked, it was low, I took the prescription medicine so why is it low again?”. The prescription Vitamin D is an excellent way of helping RESTORE OR INCREASE your levels to a NORMAL range; however, you need to do something on a regular basis to help MAINTAIN and KEEP your levels up. Remember, our main reason for low Vitamin D is our LIFESTYLE: a lack of sun exposed lifestyle, which will not change regardless of the prescription Vitamin D. Therefore, after you are done with your Vitamin D prescription, speak with your physician about MAINTAINENCE Vitamin D. I typically ask my patients to take Vitamin D-3 (cholecalciferol) 1000 I.U. to 2000 I.U. daily to help keep their levels up. Losing Weight-It’s Never too Late! As you age and your metabolism begins to decline, maintaining a healthy weight becomes increasingly difficult. 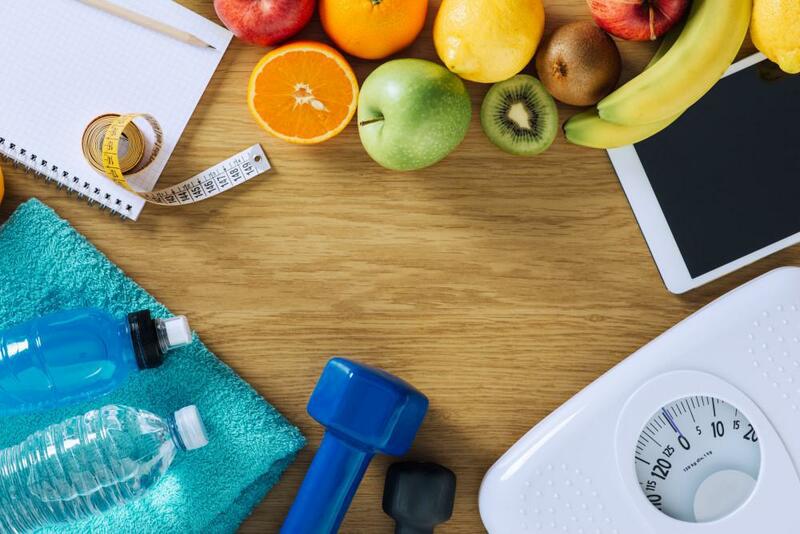 Putting aside the natural desire to preserve a youthful physique, weight management is important for many other medical reasons. Solve your sleeping difficulties by identifying the root cause(s). Prevent subsequent medical problems in the future. Well, the summer is upon us and it is time to head to the beach!